« An Absolutely Moving and Powerful Video About a Group of People Who Saved a Humpback Whale’s Life! If there's one thing I've learned about children, it's that they don't enjoy dinner out at a restaurant in the same way that adults do. My husband and I love to get out of the house for the evening and dine at a local restaurant, and while my daughter enjoys it, she always gets bored long before the meal is over. That is why, wherever we go, my husband and I always have our trusty booster chair and backpack full of toys in hand. The backpack full of toys is a lifesaver and allows us to play together and enjoy a nice meal while dining out. Unfortunately, cleaning up this myriad of small toys all over the restaurant table isn't exactly quick, and when a busy waiter is standing there with a tray of hot food, the goal is definitely to clear the table as fast as possible! So what's a mom to do? Let Lay-n-Go LITE come to the rescue! I reviewed the Lay-n-Go LITE, which retails for $29.95, but is currently on sale for $24.95. 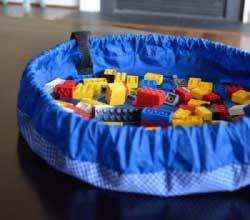 The Lay-n-Go LITE is an 18" travel/mini activity mat that converts into an easily transportable satchel allowing for a quick and effortless clean-up of small toy pieces in seconds. Toy collections used on the Lay-n-Go surface are easily spread out for plenty of fun at restaurants, on airplanes, in cars, at grandma's house, etc. Once playtime is over, the drawstring is pulled and the activity mat is instanly converted back into a soft storage bag. Lay-n-Go LITE is small, but it is a smart and easy personal activity mat, cleanup, storage and handy little carryall solution in one. The Lay-n-Go LITE is a well-designed carryall that makes clearing the dining table of Riley's toys quick and effortless. We use the Lay-n-Go LITE in conjunction with our backpack of toys and the Lay-n-Go LITE serves as Riley's new playmat, which she draws and colors on top of. Now, when the waiter comes with our food, a quick pull of the drawstring secures all of Riley's toys inside and then we toss the Lay-n-Go LITE into our backpack. This is a wonderful accessory for anyone traveling with children and I definitely love its versatility as well as how easy it is to clean. 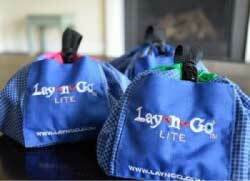 The only improvement I would suggest to the Lay-n-Go LITE is in regards to the black carrying strap. This strap is extremely small, so that you only have room to slide it on a finger or two to carry it. When trying to leave a busy restaurant with my hands full, I've found that the carrying strap just isn't big enough, which is why we make sure to carry it inside our backpack. I would have liked to see it large enough to at least slide over your hand and onto your wrist for greater portability. Disclosure: I received the Lay-n-Go LITE in order to facilitate my review. No other compensation was received. This product review is based on my own personal experiences with this item and is completely honest and objective. Wow this is so cool! I so need one of these, thanks for the review! Thanks Stephanie! 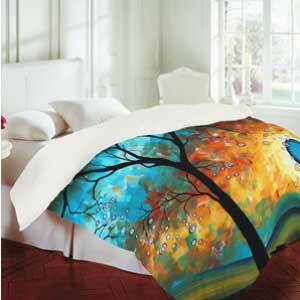 It will definitely come in handy when you travel this summer. Have a great day! Pingback: Review - The Lay-n-Go COSMO Keeps Your Cosmetics Organized and at the Ready While on the Go!